We are developing web based applications, using Internet and the related thereby technologies, allowing safe work at a distantly located working place with data from the corporative network. We offer complex information solutions situated in the global network and / or in your internal corporative network, built-up of dynamic data bases which are visible from all points in the World, at the same time being fully protected with the most up-to-date coding algorythms, permitting different levels of access to the system of the authorized users. 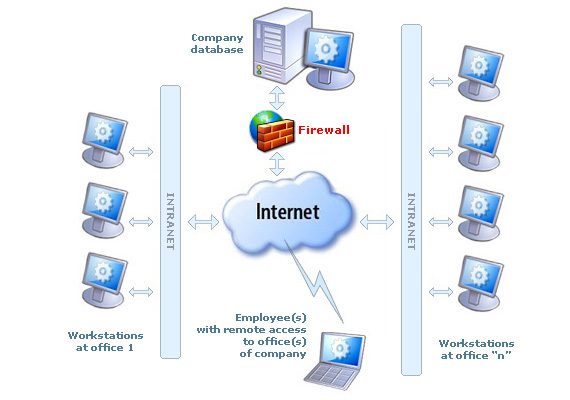 In this way you can increase the efficiency of the exchange of information between the departments in your organization, you can run the warehouse availabilities through internet, you can implement on-line payments and reservations, order systems and many others. We develop specific solutions, using the latest technologies in the mobile GSM communications.